It was not the first production to star an all-white cast, and it is unlikely to be the last. But when the actors for Trevor Nunn’s The Wars of the Roses took a group photo, it caused a firestorm the theatre director clearly did not expect. Having caught the attention of diversity campaigners, the photo attracted widespread anger on social media and even drew criticism from Equity, which said the theatre’s casting decisions “locked minorities out of the cultural picture”. Nunn has since defended his casting choices, explaining that he wanted to reflect “historical verisimilitude” and make it clear in a complex play which characters were related by blood. However, there are an increasing number of productions tearing up the status quo when it comes to so-called historical accuracy. Earlier this year, Manchester’s Royal Exchange staged Anna Karenina with Ony Uhiara, a British actor of Nigerian descent, in the title role. 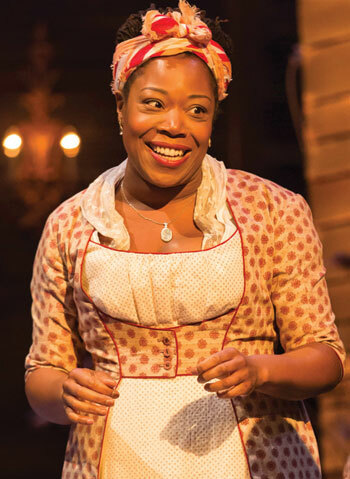 Sheffield Theatres’ version of Pride and Prejudice featured a multi-ethnic cast, with several black actors in roles written by Jane Austen as white. 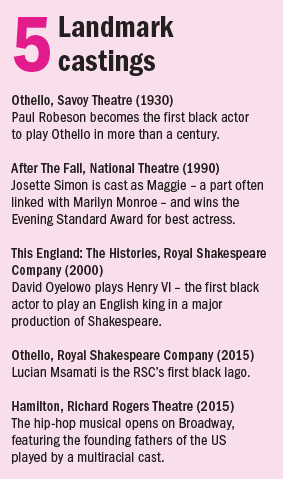 And Iqbal Khan’s recent staging of Othello for the Royal Shakespeare Company took the racially charged tragedy – its history peppered with controversial leads – and twisted it into something new with the quietly radical casting of Lucian Msamati as a black Iago. Next month, Danny Lee Wynter will step out on stage as Tom Wingfield in Nuffield’s production of The Glass Menagerie, something he says he never believed would happen because so few black, Asian and minority ethnic actors are considered for roles in the classics. Wynter founded Act for Change in 2013 to campaign for better representation of minorities on stage, but insists he never wanted to be an activist. Casting diversely still isn’t the industry norm though. Especially with the classics, there’s a need for casting directors to be explicit to agents about how open their auditions are. Practices such as Hodges’ – opening up roles to actors of all ethnicities regardless of any specificity in script or history – has been referred to as ‘colour-blind’ casting for a number of years. 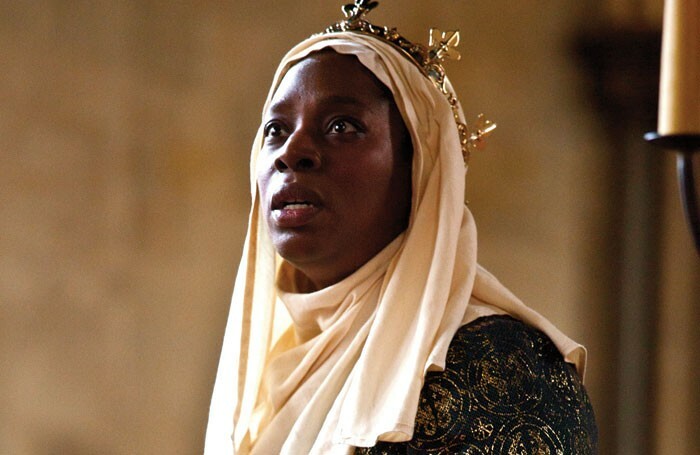 Upon hearing about the controversy over the Wars of the Roses casting, Moodie initially thought little of it – “There’s still a good few reps around in a lot of places where for whatever reason the whole company is white,” she says. But her attitude changed when she saw Nunn defend it as a conscious choice. She reels off a number of requirements that the production would have to adhere to for the sake of true accuracy: Richard III’s scoliosis of the spine, mostly French cast members and a ban on Jews auditioning – in line with the fervent anti-Semitism of the Middle Ages. Moodie and Wynter both claim that to boost representation on stage there needs to be an increase in the number of black, Asian and minority ethnic producers, writers and directors – the people who call the shots. Recent Act for Change figures suggested they made up only 7% of creative teams in regional theatre and 5% in subsidised London theatres. 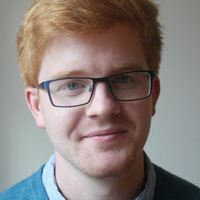 Sheffield Theatres’ artistic director, Daniel Evans, has worked with Act for Change since it was established, and is vocal about the need for progress both within his company and elsewhere. He explains his venue’s production of Pride and Prejudice came from a need to do something different with a commonly performed piece. “Did we want to do another bog-standard version, an all-white affair?” he asks. Diversity is not just about ticking boxes either, according to Evans, who recognises that it also brings in audiences, and audiences bring in money. He points to the runaway success of Broadway musical Hamilton – in which presidents and key figures from American history are played by a multi-ethnic cast – as an example of where diverse casting has paid dividends. In the UK, the clamour for increased diversity on stage has become so deafening that Arts Council England has begun monitoring the mix of on and offstage talent in theatres – with the threat of removed national portfolio funding if progress isn’t made. And with a slew of recent high-profile productions with diverse casts, it seems there has been at least some progress.